Tattoos in Video Games – A New Right of Publicity? 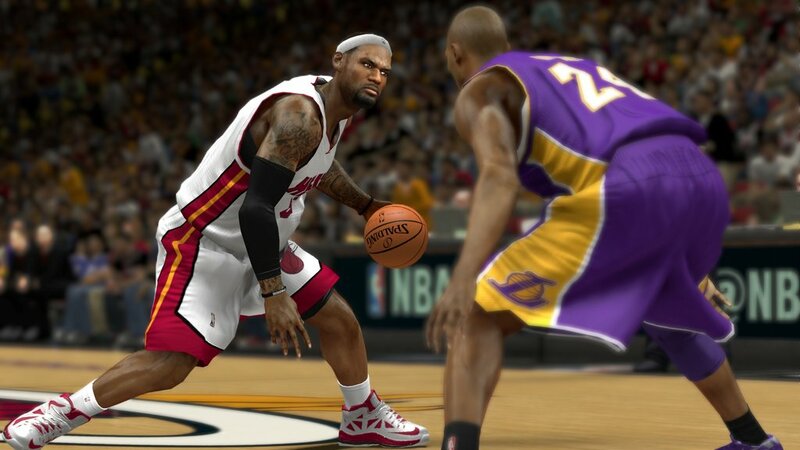 Yesterday, the New York Times published an article on the use of athlete’s tattoos in video games. While the article regurgitates the usual commentary on the existing current state of the law with respect to tattoos, video games and copyright, it fails to really move the ball forward. The article implies in the very last paragraph (“My tattoos are a part of my persona and identity,” Mr. James wrote in a declaration of support for Take-Two and 2K Games. “If I am not shown with my tattoos, it wouldn’t really be a depiction of me.”), but without going further, that tattoos are part of one’s persona. This got me thinking. Why not use the Right of Publicity in this situation? So let me propose this here, and perhaps start a discourse on how the law should be interpreted and applied by courts. When a tattoo, created by an artist, is inked onto human skin, the tattoo becomes indelibly fixed on and associated with its human host (e.g., a professional athlete), despite the fact that the tattoo may be conceptually separable from the host. It is generally agreed that tattoos, once inked onto skin, come with an implied license that the host can publicly display the tattoo, including on television and at public events. But what about further downstream uses, such as in video games where host and tattoo are digitally recreated? Importantly, tattoo artists are not mere innocents in this situation. Tattoo artists do not blindly apply tattoos. They are not unaware of the fact that the person on whom they are permanently affixing a tattoo is a professional athlete or celebrity of some sort. Tattoo artists must necessarily meet the person on which they are applying each tattoo. Thus, tattoo artists cannot be said to be unaware of the host’s identify and/or the context in which the tattoo may be used. They are aware, or at least complicit. By virtue of the artist’s awareness of the host and the host’s celebrity status, any publicity showing the tattoo on the host in such impliedly licensed events benefits the host–the tattoo becomes part of the host’s persona. Stated differently, the host automatically receives from the tattoo artist an implied license to depict the tattoo as part of the host’s right of publicity. As a caveat, this might apply only to publicity visible tattoos and not to tattoos in more (ahem) discrete locations on the host. Thereafter, when the tattoo is depicted as part of the host’s persona (e.g., recreated in a video game or as a key element in a movie), such depiction falls within the scope of the host’s right of publicity, and a license is required only from the host for such use. If the tattoo is depicted in isolation from the host, e.g., as a separate work of art not associated with the host’s persona, a license is required only from the artist for such use. I don’t have time right now to write an entire law review article on this, but I think the economics work out, too. Tattoo artists will be able to charge higher fees based on the notoriety they receive from hosts’ use of their tattoos, and may also be able to charge higher fees when the recipient of a tattoo is a known celebrity or athlete. The market will correct the fee structure once the law is correctly applied. One unanswered question… how would this affect the “Hangover II” situation? 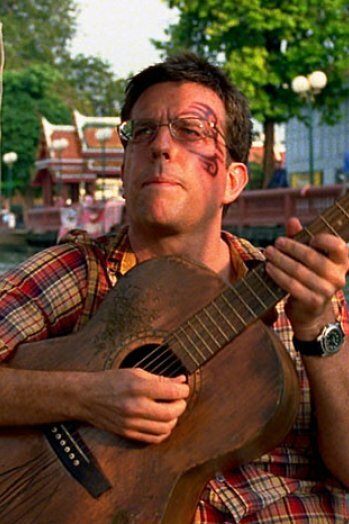 That is, Mike Tyson’s tattoo was recreated on actor Ed Helms’ face. The recreation of the tattoo in the film was intended to reference Mike Tyson’s persona, but was recreated independent of Mike Tyson himself. Whose license/permission is needed in such a context? Mike Tyson’s? Or the tattoo artists? The lawsuit settled, so the court never weighed in. Even if they did weigh in, courts are not presently applying the law as suggested above. I haven’t worked the “Hangover II” situation out yet, and invite others to chime in on this. Perhaps we can work out a more thorough solution than this brief proposal. In any event, in view of LeBron James’ declaration in support of Take Two and 2K Games (see above link), I might not be the only one proposing this sort of theory. I hope this case goes the distance, and we get some decent law that resolves the issue once and for all. Ed Sheeran sued for copyright infringement…. again. As previously reported, Ed Sheeran was sued back in June for copyright infringement. Well either the sharks smell blood, or perhaps there’s something in the water, but be’s been sued again based on another of his songs, as reported by CNN. What do you think? Does this case have legs? This case dealt with the copyright status of video games, particularly whether video games are eligible for registration. 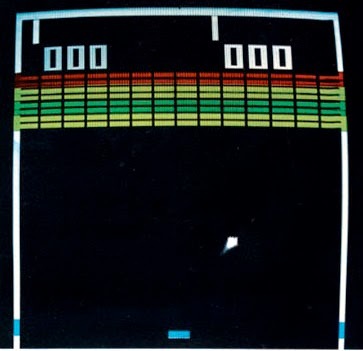 Atari Games Corporation released the paddle and ball video game Breakout in 1976. Atari applied for copyright registration for the work in 1987. Copyright Registrar Ralph Oman denied registration on February 13, 1987, and again on May 22, 1987, because the work “did not contain at least a minimum amount of original pictorial or graphic authorship, or authorship in sounds.” Atari challenged Oman’s rejections. 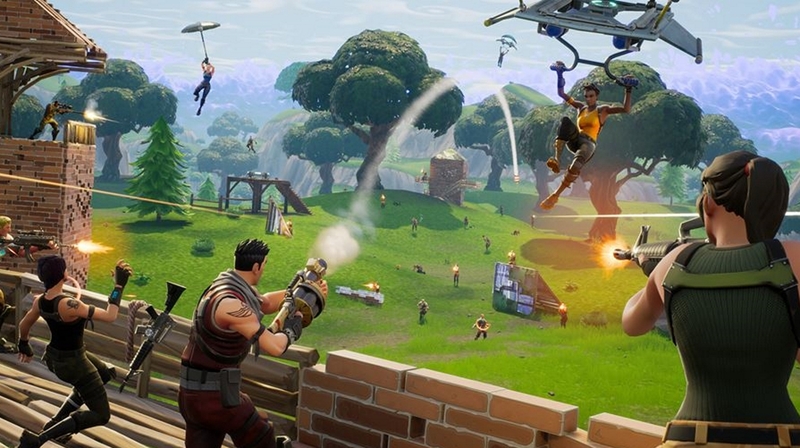 The District Court granted summary judgment to Oman, noting that video games are not per se copyrightable, or more creative than other mediums. The Court of Appeals reversed the decision and held that Breakout was copyrightable because it is a fixed work that meets the minimum requirement for creativity in copyright. This is a seminal case that helped establish the copyrightability of video games in general. Google won a high-profile jury verdict Thursday that its use of Oracle’s copyrighted Java software code in its Android mobile operating system was protected by the fair use doctrine, clearing the company of liability that could have reached $8.8 billion. This is a HUGE win for Google and a big win for the Fair Use doctrine. This case is sure to be appealed. Incidentally, it will go to the Federal Circuit rather than the 9th Circuit, because the case once involved patents. The Federal Circuit will apply 9th Circuit law, however, in deciding the copyright issues. This case ain’t over… but Google’s lawyers are having one heck of a party tonight. infringement and trademark infringement in violation of the Federal Trademark Act. Joker Poker.” Plaintiffs’ game is an electronic card game based on draw poker. Defendants manufacture similar coin-operated video games. its copyright by distributing copies of the Hi-Lo Double Up Joker Poker game. The district court found for the defendants because it said that the flashing card feature in plaintiffs’ pre-existing poker game was not copyrightable and therefore, plaintiffs were not entitled to copyright protection. While the plaintiffs did not place a proper copyright protection notice on their product, the court held that the omission did not forfeit plaintiffs’ rights. Because Kramer registered its copyright within five years of publication, the district court’s finding that the plaintiffs did not make a reasonable effort to add proper copyright notice is erroneous. falsely designating the origin of the defendants’ version of the game. 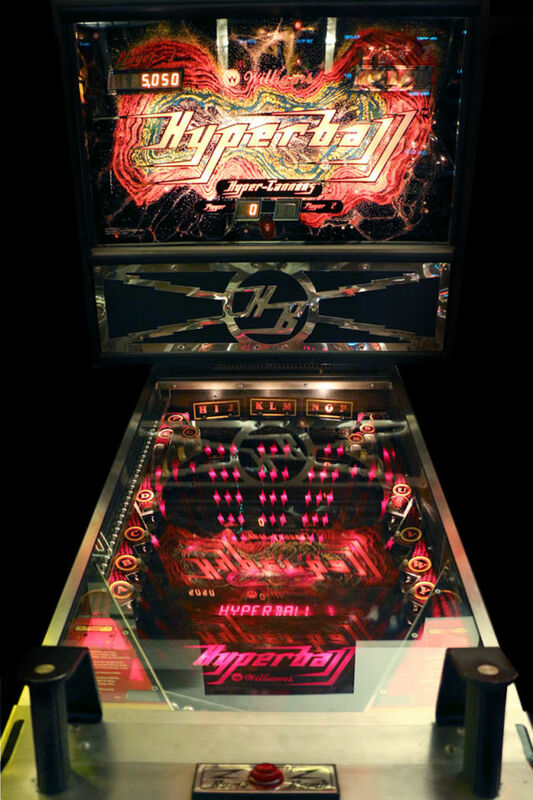 Specifically, plaintiffs argued that defendants copied the game console and the artwork on the glass panel displaying the video graphics. The Court of Appeals found evidence of intentional and direct copying sufficient to establish a prima facie case of secondary meaning. Therefore, the burden of persuasion shifted to defendants, to which they did not offer rebutting evidence. found for the defendants and the judgment was vacated by the Court of Appeals. Midway Mfg. Co. v. Bandai-America, Inc.
We are currently updating our site with some posts about older high-profile video game lawsuits. You may have noticed several posts for video game lawsuits from the 1980s. Plaintiffs Midway Manufacturing and Coleco Industries filed suit for copyright and trademark infringement against defendant Bandai-America. 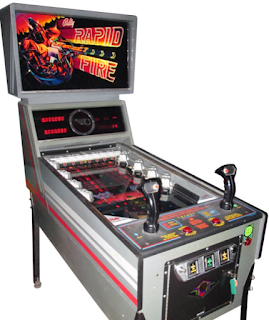 Plaintiffs are the owners of the famous arcade video games Galaxian and Pac-Man. Defendant Bandai-America is a Japanese distributor of handheld video games. 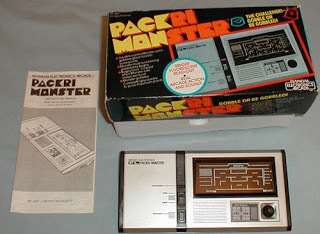 Defendant has two handheld video games named Packri Monster and Galaxian. Plaintiffs asserted a likelihood of confusion between its Galaxian mark and defendant’s identical mark. 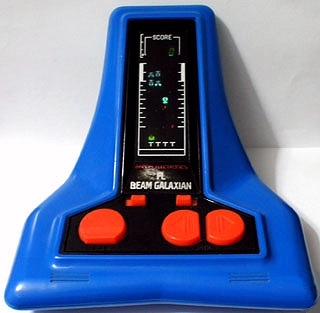 The court found Plaintiffs were entitled to summary judgment on the trademark issue for the Galaxian mark on the grounds that the mark is distinctive and not descriptive of the product. The Pac-Man game is an electronic maze-chase arcade game. Players use a joystick to navigate the maze whereby the central character, the “gobbler” maze-chaser, consumes pink dots. 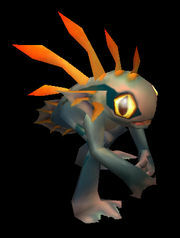 The game ends when a monster catches the gobbler. Similar to the Pac-Man game, defendant’s Packri Monster is played using a joystick, whereby the player moves a character through the maze. 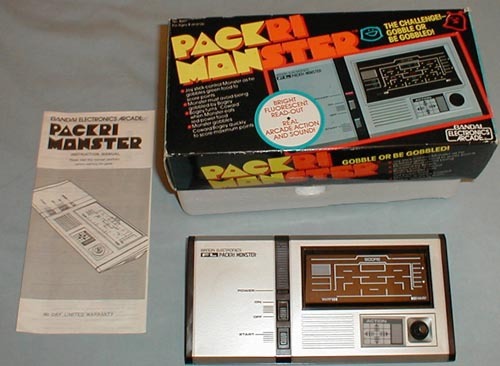 The Packri Monster gives the illusion of the monster eating the dots in a manner resembling the monster in Pac-Man. The court found there was a genuine issue of material fact as to whether defendant’s “Packri Monster” mark infringed the “Pac-Man” mark. Additionally, the court found that the plaintiff’s products were copyrightable. 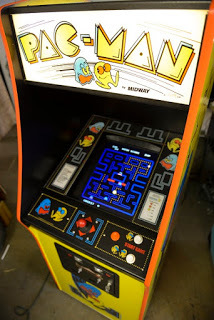 However, the court denied summary judgment for Midway for the Pac-Man game, holding that defendant’s game was not substantially similar to plaintiff’s trademark, and therefore there was not a likelihood of confusion. Nintendo of America, Inc. v. Elcon Industries, Inc. 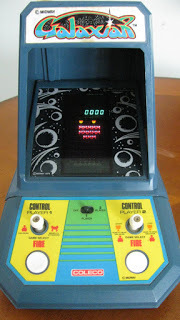 Plaintiff Nintendo (at the time) was in the coin-operated electronic video game business, and filed suit against defendant Elcon for copyright and trademark infringement. Defendant is in the business of assembly and sale of coin-operated electronic video games and other video game components. Plaintiff owns the video game Donkey Kong, and the audio-video presentation of the game is covered by plaintiff’s copyright registration. The certificate of copyright registration is prima facie evidence that plaintiff’s Donkey Kong game is protected and that the copyright is valid. Plaintiff extensively promoted and advertised Donkey Kong throughout the United States. Donkey Kong is an original audio-visual game with proper copyright protection of the characters, obstacles, background, and sequence of the game plays. Plaintiff entered into a licensing agreement with the Japanese corporation Falcon, Inc. in September 1981, which authorized Falcon to produce the game Crazy Kong. Crazy Kong was identical or similar to Donkey Kong. The game was prohibited from being imported into the United States and the license stipulated the game could only be sold within Japan. Defendant imports the Crazy Kong games into the United States without authorization from the plaintiff, which the court found to be sufficient evidence to constitute copyright infringement. Because defendant did not obtain plaintiff’s authorization for the publication of the Crazy Kong games, plaintiff cannot lose protection for failing to have a copyright notice on the games. The court granted plaintiff’s motion for a preliminary injunction, finding that the plaintiff showed there was a substantial likelihood of success on the copyright infringement and unfair competition claims. Inc. v. Bally Mfg. Corp.
bolt targets to prevent the bolts from hitting the energy center. suit for false representation and copyright infringement. defendant’s motion for summary judgment regarding the copyright infringement. Good Morning to You Productions Corp., a production company working on a documentary about the song, sued Warner Chappel Music in New York federal court in June 2013, claiming that “Happy Birthday to You” was first copyrighted in 1893 and thus is long past expiration. The suit alleges Warner/Chappell had unlawfully collected millions of dollars in licensing fees for the tune by claiming it holds the exclusive right to control distribution, performances and reproductions of it. Good Morning to You said it had filed suit in response to Warner/Chappell’s demand that it pay a $1,500 licensing fee to use the song in a documentary about the history of the song. Well yesterday, September 22, 2015, a California Federal judge agreed, and ruled that Warner Chappel’s copyright is invalid, except with respect to a narrow piano arrangement of music to accompany the song. U.S. District Judge George H. King found that Warner had never acquired the rights to the song’s lyrics, according to Tuesday’s decision. 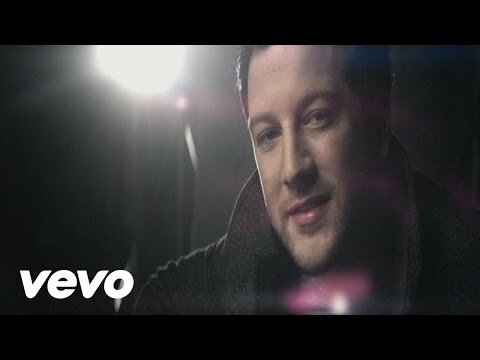 In copyright records, court records and several agreements over the use of the song, nowhere was there discussion of the lyrics to “Happy Birthday,” according to the decision. Some records mention the melody or piano arrangement, but not the words to the song, the judge said. This means that video game developers can use the song “Happy Birthday to You” without fear of the Warner Chappel Music Police sending you a nasty-gram, demanding a royalty. The case is Good Morning to You Productions Corp. et al v. Warner Chappell Music Inc. et al., case number 2:13-cv-04460, in the U.S. District Court for the Central District of California. While not exactly a video game case, we thought our readers might find this of interest. On August 5, 2015, Plaintiff Joseph Tierney sued Defendants Moschino S.p.A. and Jeremy Scott for copyright and trademark infringement, unfair competition, and violation of the right of publicity. Tierney is a graffiti artist known as “Rime”, who is famous for his work entitled, “Vandal Eyes”. Vandal Eyes (shown above, left) is a giant mural covering the side of a building, which Rime was asked to create by a Detroit property owner. Defendants are high-end fashion designers, who used Rime’s artwork and fake signature on their clothing line, advertisements, and in media photographs, without Rime’s consent. Defendants used literal copies of the Vandal Eyes mural in their Fall/Winter 2015 Collection. The Collection gained international media attention through the world when it was displayed on runways and worn by celebrities including actress Katy Perry and model Gigi Hadid. Plaintiff alleges his reputation and career have been damaged by Defendants’ unauthorized use of his artwork. 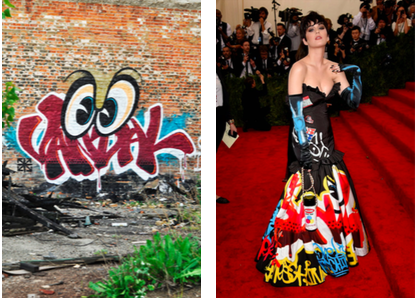 Plaintiff stated that he carefully chose a target audience to display his graffiti artwork, and he deliberately did not associate with Moschino’s fashion line. Additionally, Plaintiff alleges that Defendants benefited from using the mural because Moschino revenues increased by about 10% since the launch of the Collection. We will continue to monitor this case for interesting updates. In a second major case decided today, the 9th Circuit held that there is no independent copyright held by a performer in a motion picture (film, TV, etc.) work. As reported by Law360, in an en banc decision the full Ninth Circuit on Monday overturned a highly-controversial panel decision that forced Google Inc. to pull an anti-Islam video from YouTube, calling it a ‘dubious’ copyright ruling that gave short shrift to the First Amendment. The appeals court’s reversal came in the closely-watched case of Cindy Lee Garcia, an actress who sued Google after receiving death threats based on her role in the incendiary “Innocence of Muslims” — the same film that allegedly sparked riots in the Middle East in 2012. This is a good day for copyright law. A decision the other way would have sent Hollywood into disarray and turned the film industry on its head, creating a new threat that countless actors could hold copyright owners hostage for vast sums of unpaid royalties. This case is also important for video game developers who have hired actors as part of the creation process. Despite the negative impact the opposite decision could have had, that’s not WHY this is a good decision. 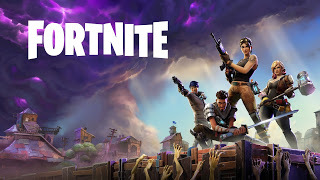 Rather, a movie, television show, video game, or any other audiovisual work is ultimately the vision a single person (e.g., the director) or entity (e.g., the video game developer or publisher). Allowing actors a copyright right in their individual performances would, by implication, mean that the director does not actually have ultimate control to decide what is and is not included within a film or video game. But that’s the not the reality. The reality is that the director, if she doesn’t like the actor’s performance, requires the actor to reshoot the scene until the actor’s performance is what the director wants the performance to be. Today’s case reaffirms that principle. BREAKING NEWS: Supreme Court nails Aereo’s coffin shut. Not exactly a video game case, but important the world of Copyrights nonetheless. The decision everyone has been waiting for it out. Today the U.S. Supreme Court held that Aereo is equivalent to a cable company, and is performing copyrighted works to the public without paying a license, and therefore they infringe the rights of copyright holders. …we find [Aereo] highly similar to those of the CATV systems in [previous Supreme Court cases]. And those are activities that the 1976 amendments sought to bring within thes cope of the Copyright Act. Insofar as there are differences, those differences concern not the nature of the service that Aereo provides so much as the technological manner in which it provides the service. We conclude that those differences are not adequate to place Aereo’s activities outside the scope of the Act. For these reasons, we conclude that Aereo “perform[s]” petitioners’ copyrighted works “publicly,” as those terms are defined by the Transmit Clause. We therefore reverse the contrary judgment of the Court of Appeals, and weremand the case for further proceedings consistent with this opinion. Unless there is a legislation change, that’s the end of the road for Aereo as we know it. We have said that it does not extend to those who act as owners or possessors of the relevant product. And we have not considered whether the public performance right is infringed when the user of a service pays primarily for something other than the transmission of copyrighted works, such as the remote storage of content. See Brief for United States as Amicus Curiae 31 (distinguishing cloud based storage services because they “offer consumers more numerous and convenient means of playing back copies that the consumers have already lawfully acquired” (emphasis in original)). In addition, an entity does not transmit to the public if it does not transmit to a substantial number of people outside of a family and its social circle. So here’s my initial $.02 on this case. Aereo will have an initial brief dampening effect on technological development, because of the psychological impact that will weigh on technologists as they are developing new technologies. In the back of their minds, they will be thinking “remember what happened to Aereo? They spent all that money and then were shut down. We don’t want that to happen to us.” However, the Court actually goes out of its way in an attempt to prevent the decision from stifling innovation by limiting its decision to the specific technology used by Aereo. The court clearly articulates that cloud service providers in general should remain unaffected by the decision, and the Court further states that in view of “the limited nature of the Court’s holding, the Court does not believe its decision will discourage the emergence or use of different kinds of technologies.” So while there may be an initial delay as technologists do a sanity check on their innovations, technology should continue to advance as usual. The Supreme Court took a common sense approach by telling technologists not to put form over substance. This is the second time the Supreme Court has held that you can’t manipulate technology to skirt copyright laws. They said it to Grokster, and now they’ve said it again to Aereo. If you’re sitting in a technology development meeting at your company, and someone asks “how can we deploy this technology to avoid paying a license fee?”, I’d think twice about that approach, and make sure that you have legal counsel weigh in on the risks associated with that technology. Despite this, the ruling is not a death knell for technology development, and in fact reinforces the viability of cloud computing solutions in general. However, just as the Supreme Court has done here, technologists must take a common sense approach when designing new products to determine whether those products will run afoul of copyright law. The case is American Broadcast Cos., Inc., et al. v. Aereo Inc., 573 U.S. __ (June 25, 2014).Full opinion is here. Aereo’s CEO comments on the outcome here. an apparent out-of-court settlement between the two parties.